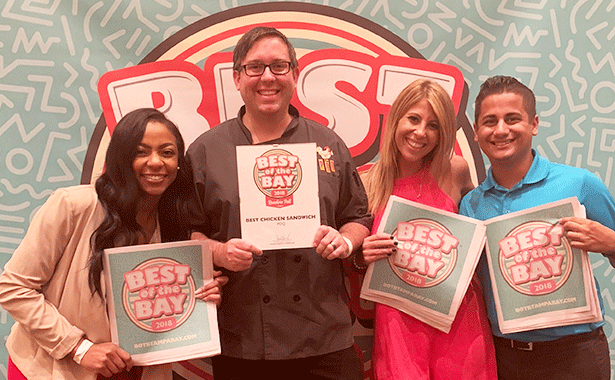 On Wednesday, September 26th, our very own Executive Chef Michael Brannock attended the Best of the Bay Awards Party, presented by Creative Loafing, where he graciously accepted PDQ's award for Best Chicken Sandwich. The awards, now in their 28th year, honor the best in the Tampa Bay area and last year garnered nearly half a million votes in all categories. Check out all of the winners here. We want to say a special thank you to all of those who voted in the Tampa Bay area! We promise to keep serving up the best chicken sandwich around town. See ya' again soon!